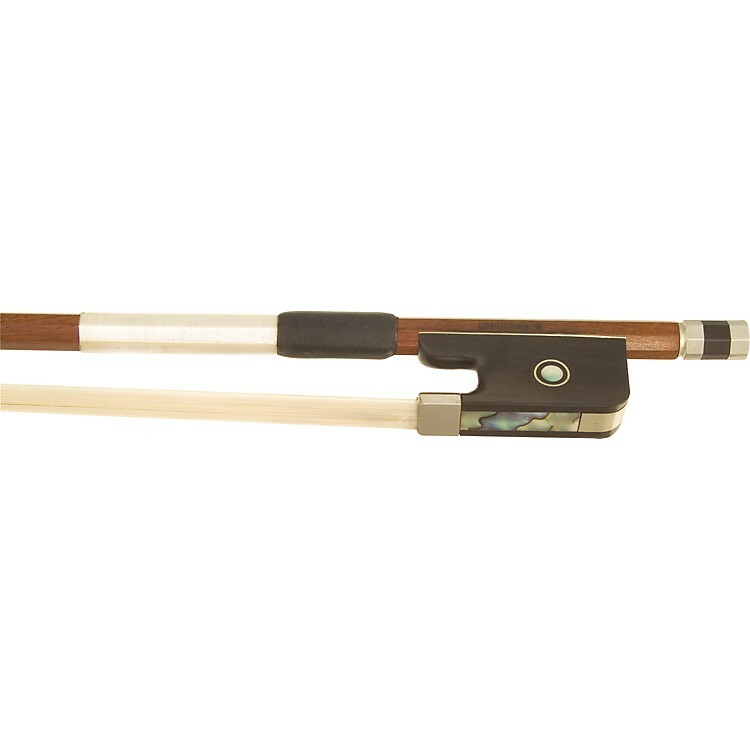 The One Star Viola Bow from Londoner Bows is one of the best quality student pernambuco bows that you will find anywhere. The sticks are hand carved out of quality pernambuco and the full-lined nickel-silver frogs and buttons are made in Germany. It features a bone tip and a leather grip with silver windings.